Men have complained about ties for ages. They can feel binding and hot, and seem a little strange, a little pointless, and a little like a colorful noose. If you’re a man who dislikes ties, is it advisable to wear a suit without one? Can you do so and still look stylish and appropriately dressed? Today we’ll provide the answers to these questions. Should You Wear a Suit Without a Tie? Most generally, the answer to this question is no. 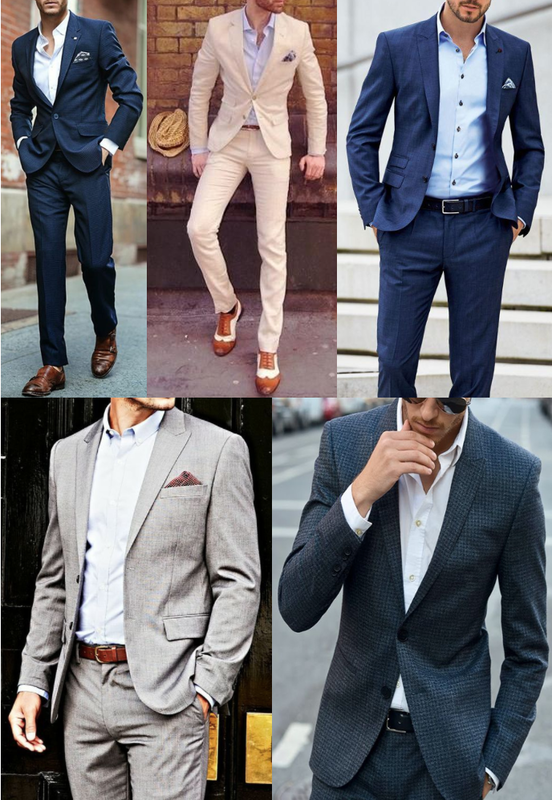 An entire traditional suit get-up — pants, jacket, shirt, and tie — is not a system of independent pieces, but rather interconnected parts that are designed to be worn together. A suit jacket shouldn’t be worn with different pants than the ones it came with. A dress shirt and tie don’t look good without a jacket. And the full suit doesn’t look complete without a tie. The suit itself is in fact designed with the tie in mind; its lapels, along with the collars of your dress shirt, serve as frames to the neckwear which runs down the center of your chest. A tie then pulls the suited look together and adds a bit of finish and authoritativeness to your outfit. Not to mention, it simply adds a nice bit of color and visual interest to what is otherwise a fairly monochrome ensemble. Wearing a tie with a suit is thus a must for all professional and more formal events and environments. Showing up tieless to a place where everyone else is wearing a tie will make you look kind of dopey — conveying that you’re either lazy (the kind of guy who prefers his own comfort to showing respect for the occasion), superficially rebellious (“Okay, I consent to wearing a suit, but I draw the line at putting on a tie!”), or sartorially clueless. Even for more business casual occasions, if the event is dressed-down enough to forgo the tie with your suit, you’ll typically be better off wearing a sport coat without a tie, as those two style elements better complement each other. However, all this being said, wearing a suit without a tie actually isn’t a bad look. There are times where you don’t want to project conventional authority, or even look entirely “complete,” and ditching the tie can be a fine, stylish way to dress down a suit. It’s a viable option for certain occasions and events like a casual outdoor summer wedding (hot weather in general makes the tieless suit a more acceptable choice), cocktail party, or art gallery opening. It can also work in environments in which you normally wear a suit but have been called into an emergency meeting or sent into the field to work on a project outside the norm. It’s notable that politicians seem to increasingly be forgoing the tie outside of more formal campaign events, perhaps to offer a more open and accessible look to voters and constituents. To pull off the look yourself, you’ve just got to keep a few guidelines in mind. The main issue with skipping the tie when wearing a suit is that it’s apt to be read either as an unintentional omission — you forgot a tie or didn’t understand the dress code — or as a merely comfort-driven decision — you’ve been drinking too much, and are feeling flushed and like you need to tear off your tie to better get down on the dance floor. The corrective to this issue, naturally, is to take steps to ensure that going tieless seems less like a sloppy oversight and more like a deliberate style choice. You know how to dress, and you’re ditching the tie on purpose. Nail the fit. Fit is always key, and it’s even more important in the absence of a tie, when your get-up runs a greater risk of going sideways into sloppiness. Wear a more casual/stylish, non-business suit. Skipping the tie while wearing a more formal, structured, conservative, dark-colored business suit just feels like you were willing to start something, but didn’t want to go all the way; it exudes that “incomplete” feel that mars the tieless look. Instead, forgo the tie only when you’re wearing a more casual/stylish suit that fits better with dressed-down social occasions. Think lighter colors and fabrics, less structured, slimmer notch lapels. Wear a less formal shirt. Same idea here. Your shirt choice will come into greater focus in the absence of a tie, and a more casual shirt telegraphs that this absence was an intentional choice. Go with a classic Oxford, or a button-down in a chambray, denim, or patterned fabric. Mind the collar. The collar of your dress shirt acts as an important and flattering frame to your face. But without a tie to hold it together, the collar of your dress shirt can flatten and flop around underneath the structure of your jacket and look incongruous and sloppy. So don’t wear a shirt where the collar is going to spread out excessively and lie horizontally. Rather, you want the collar to stand up fairly straight and keep a nice vertical orientation. To accomplish this, make sure your shirt is well-ironed (add starch as needed), and use collar stays. A button-down is a good choice as its collar will better maintain its shape. Undo two buttons. The tieless suit is not a buttoned-up look, so neither should your shirt be. You’ll definitely want to unbutton at least one, and typically two of your shirt buttons to evince the right level of casual nonchalance. Make sure your undershirt isn’t showing; if you wear one, you’ll want to opt for the v-neck style, rather than a crewneck. Undo any more than two buttons, and you’re entering gigolo territory. Add visual interest with other accessories. A tie contributes a good deal of color and visual interest to a suit. In its absence, add some other accessories that will snazz things up and attract people’s eyes. A nice watch, lapel pin (you can get an AoM one here), and/or a pocket square will do the trick. A white, square-folded pocket square may be a bit too formal for wearing with a tieless get-up; consider a colored or patterned pocket square, tucked in with the puff fold (click here to learn the different pocket square folds). Shine your shoes. Without a tie serving as a suit’s focal point, more attention will be paid to other details of your outfit, so make sure you’ve got them all right. That includes making sure your shoes are looking spiffy; you can find a complete guide to shining them here. Generally speaking, wearing a suit with a tie simply looks better. So when you’re in doubt, put on a tie; if the occasion doesn’t turn out to call for one, you can always take it off. Nonetheless, in the right environment, worn in the right way — that is, with confidence and stylish intention — wearing a suit without a tie can certainly work.